I am like the diamond who, by being in its full splendor, magnetizes simply by embodying what it is. Therefore a diamond does not have to pursue, it magnetizes. Pursuit at its basic level aligns with what I lack. 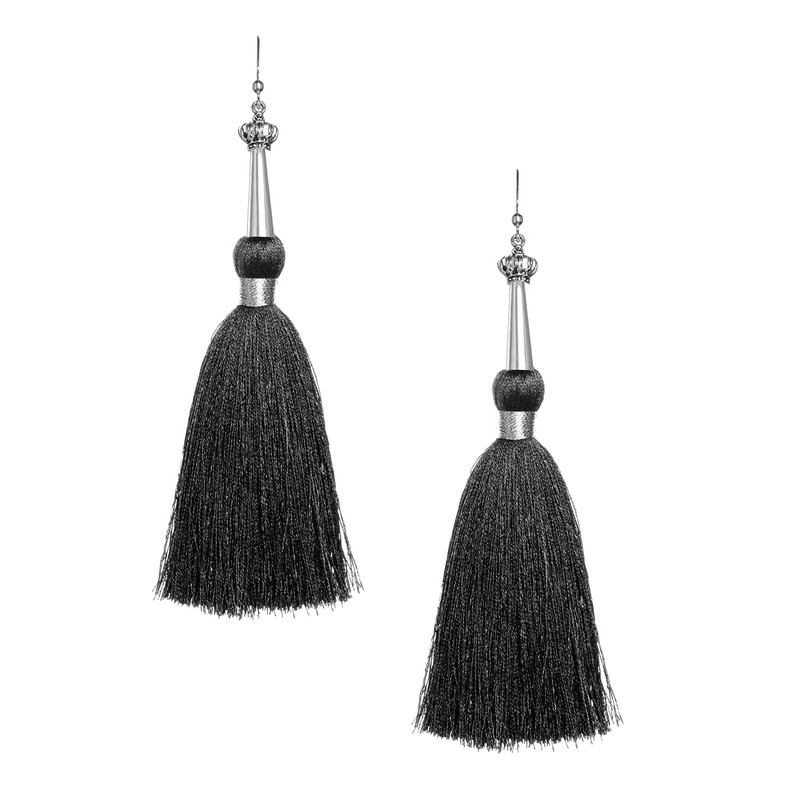 These highly evolved and expressive Black Silk Tassel Earrings with Silver Cap are handmade through global collaboration. These Black Silk Tassel Earrings with Silver Cap are fully charged symbols of hope and inspiration, giving you the power to think, act, and feel connected. Allow these Black Silk Tassel Earrings with Silver Cap to transform, elevate, and inspire you to be all you can be in the world. This earring is truly unique! Like a Oscar De La Renta or a Balmain for a fraction of what you would pay. 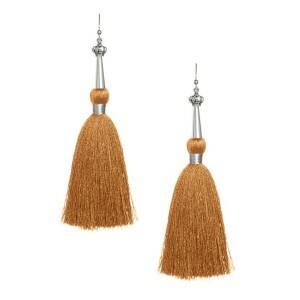 Designer look without the price tag. Unbelievable on! Love them!